Lawrence (Larry) S. Davis was born to Mary and Kenneth Davis in Missoula, Montana, on July 24, 1934. The oldest of four siblings, he grew up in Missoula; Alexandria, Virginia; and then Ann Arbor, Michigan. While he excelled in math and geography, Larry was always driven by his passion for the outdoors. Any spare time would be spent fishing, tying flies, exploring, and camping. His plan was to be a fisherman when he grew up. Larry received his Bachelor of Science and Master of Forestry degrees from the University of Michigan. Between degrees, he worked with the U.S. Forest Service in Georgia conducting forest management and fire research, and subsequently served three years in the U.S. Army as an electronics specialist in the Philippines. He returned home and in 1959 worked as a forester in Macon, Georgia. There, he met and married his wife of 53 years — Claire Hammond. They soon traveled west to the University of California, Berkeley, where Larry earned a Ph.D. in agricultural economics in 1964. Both his thesis and dissertation were on the feasibility and economics of prescribed burning and fuels management. After completing his doctorate, he spent six years as assistant and associate professor at Virginia Polytechnic Institute, and then joined Utah State University (USU), where he was professor and head of the Department of Forest Resources for 12 years. At USU, he taught undergraduate and graduate courses in forest resources management and directed several research projects in public land management concerned with public involvement and land classification systems. Larry returned to Berkeley ("Cal") in 1982, where he taught integrated forest management and planning at the graduate and undergraduate levels, and had an extensive research program with industry and public agencies. At Cal, he held the S. J. Hall Chair in Forest Economics, and retired from Berkeley in 1997. In retirement, Larry worked on various projects with the forestry consulting firms of Mason, Bruce and Girard (Portland, Oregon); VESTRA Resources (Redding, California); and The Forest Technology Group (Charleston, South Carolina). Professor Davis was influential in the field of natural resource economics and management, and authored many research papers with a host of colleagues. Larry focused his teaching, research, and writing career on integrated forest management planning, and improving quantitative analysis of planning and policy to better address real-world economic, social, and ecological problems. He was recognized as a leader in developing concepts, tools and systems to support analysis and planning for sustainable forest ecosystem management. His greatest contribution was pioneering the development and use of quantitative planning methods in landscape-level decision analysis. Included are the FORPLAN planning system of the U.S. Forest Service, and related linear programming-based products that are used to manage millions of acres of public and private lands worldwide. His textbook, Forest Management, coauthored with K. Norman Johnson, Pete Bettinger, and Ted Howard, is in its fourth edition and continues to set the standard in the profession. The book's quantitative approach to integrating ecology, management and economics makes it the standard reference for natural resource professionals across the U.S. and beyond. Larry was not just a scholar — he was far more — husband, father, mentor, friend. 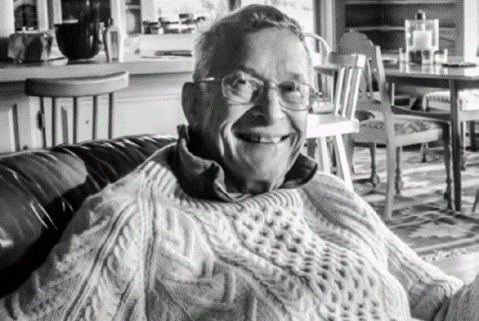 Jim Kennedy, one of Larry's earliest graduate students and later a colleague on the faculty at Utah State, recalls Larry as generous, kind, strong, and patient. He was always eager for new ideas, and encouraged students, friends, family, and colleagues alike to think for themselves. His core values included a strong work ethic, giving to community, commitment, humor, and honesty. As noted by his children, "He wasn't just book smart, he practiced common sense and street smarts; yet was so humble about his own abilities." Freider Schurr, one of Larry's graduate students at Cal, recalled Larry as the best guiding professor one could have had in graduate school, from beer & bean feeds at Mulford Hall, celebrations at field camp, and personal stories about adventures in the woods. Indeed, Larry didn't know the meaning of boredom and rarely sat idle. His hobbies ranged from cooking, woodworking, gardening, playing guitar and singing (mostly bluegrass and folk), camping, training his dog, spending time with friends, and traveling abroad with his wife, to playing with grandchildren. Perhaps he was most content when casting a fly along a beautiful trout stream in Idaho or Montana, or reeling in a feisty halibut or salmon in Alaska. J. Keith Gilless, dean of Berkeley's College of Natural Resources, recalls his good fortune in arriving at Cal as a fresh assistant professor in 1983: "Larry was a brilliant scholar and generous friend. His ethical compass always pointed true north. I never heard him utter an uncivil word. I could not have had a better mentor in the office next door to me in Mulford Hall when I started at Berkeley. Undergraduate and graduate students at Virginia Tech, Utah State, and Berkeley all benefited from both Larry's high standards and dedication to the art of teaching. The last time I talked to Larry and Claire was in Spokane in 2012 on the occasion of recognizing Larry as a Fellow of the Society of American Foresters. It was a fitting recognition, in the presence of his family, of the respect all of us had for a most remarkable colleague. We will all miss him." Larry died on March 6, 2016, from Alzheimer's disease. He was preceded in death by his sister Lenore, and wife of 53 years, Claire. He is survived by his brother Richard, son Lawrence, daughters Katharine and Alexandra, and six grandchildren.